Last Christmas I made a very cool custom gift for a friend. Her hubby collects Flxible busses. (yes, I did say bus, yes, it does take up a lot of room) As a surprise, Jodie decided to have me make a glass copy of the hood emblem of a bus. 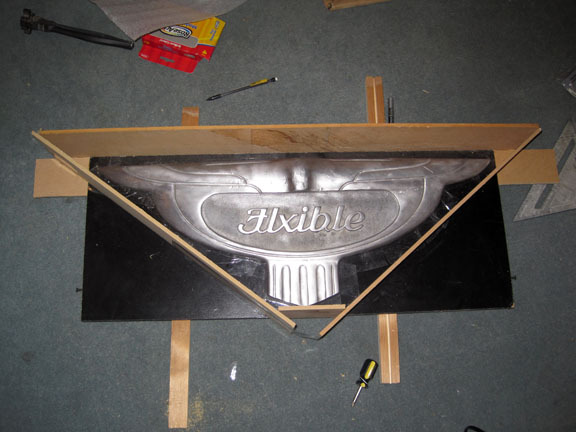 Here is the process starting with the cast aluminum original that I used to make the molds. 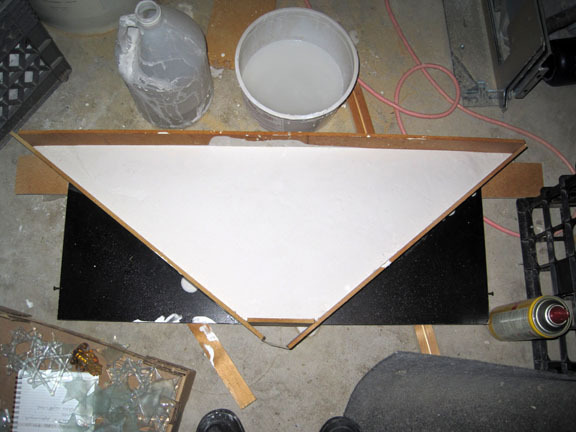 Mold making: the black piece of laminate that you see here is 18″x 10″, just for a sense of scale. The original is also slightly curved in order to fit on the front of the bus, so I had to dam the underside to keep it from filling with plaster. Always a good idea to have a back up plan, so I poured two, just in case. 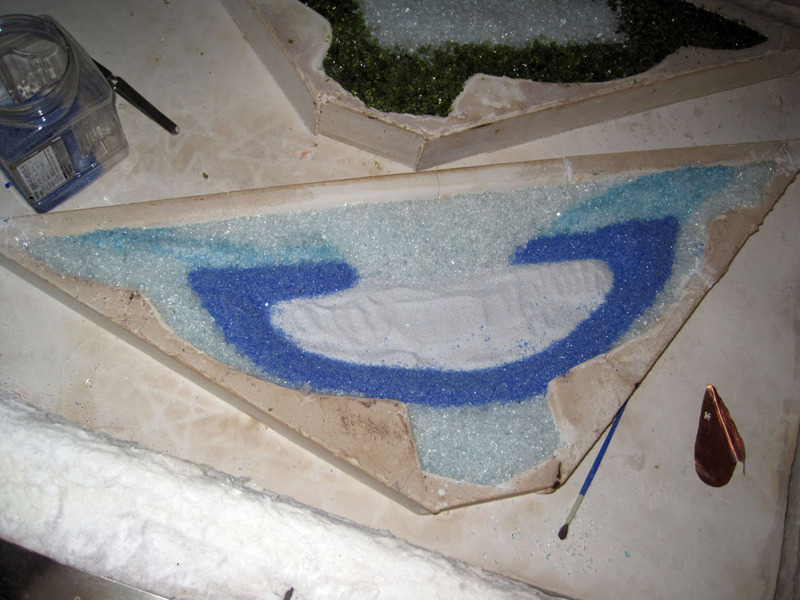 Here, I’ve started to fill one of the molds with color frit. 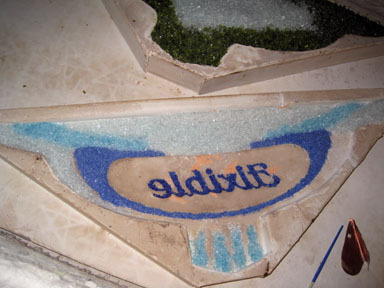 The Flxible words in the top mold are filled with superfine clear frit, which will fire opaque. 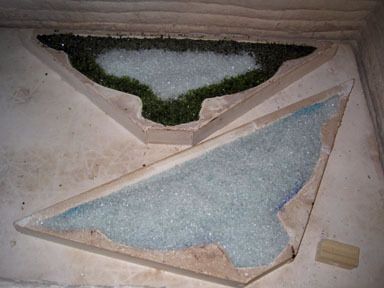 Adding more frit to the green clear and starting to add frit to the blue clear. The blue’s you see here are Sky Vodka and Sapphire bottles ground to frit and mixed with clear window frit. More layers of clear and blue. 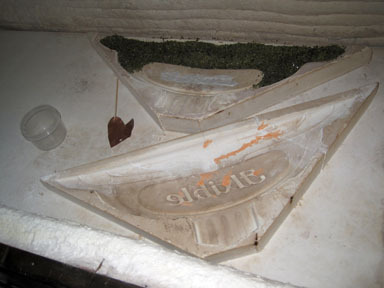 Final layers, ready for firing! Finished firing, still waiting for a bit of cold work. The Green one was happily received as a Christmas present.